MOMO Steering Wheel Tuning - Millenium EVO UNIVERSAL - Dezod Motorsports Inc - Home of the automotive performance enthusiast since 2002. 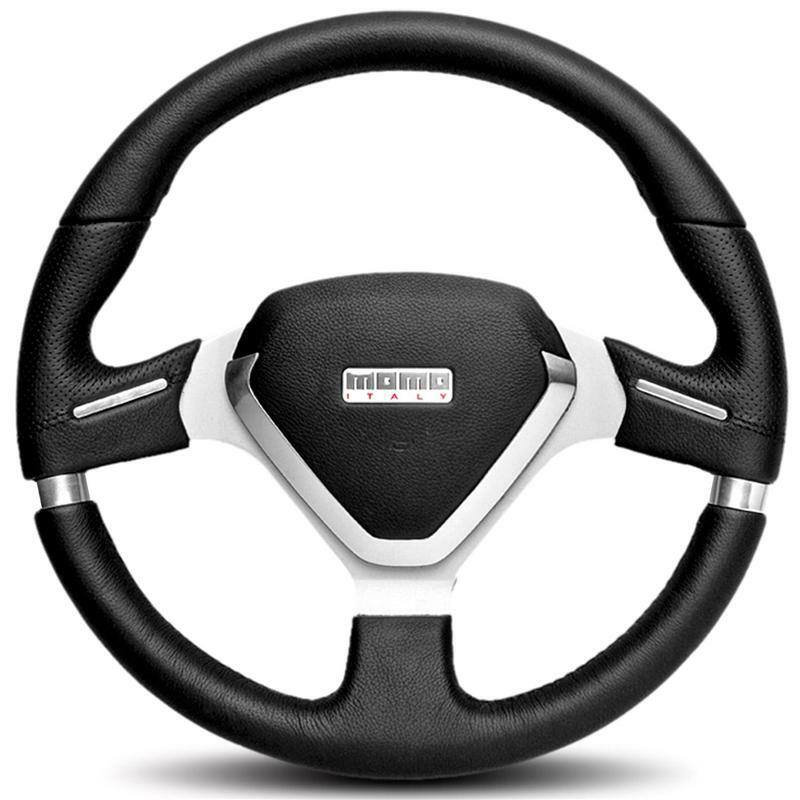 Top Grain black leather with Airleather grips and chrome inserts. Silver spoke and leather horn pad.